New listing3 x Candy Split FABs. LITTLE WHEATLEY ALLOY FLY BOX FLIES. 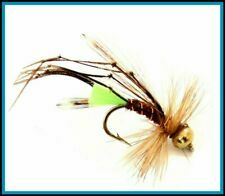 For sale I have a great little Wheatley top pocket fly box in great very lightly used condition. The flies are also in great very lightly used and look unused condition. You are buying here New 2016 1 x Fullingmill Slim Fly Box With Holds 168 Tout Flies. That goes for our flies too. We are based in the heartland of Scotland in the Capital City of Edinburgh. Fly fishing opportunities abound in Scotland. 4 Eggstacy ⚡Electric ⚡ Worms.Fly Fishing. 4 cats whisker Eggstacy ⚡ worms,dressed B160 size 8s. Fly Fishing.. Condition is New. Dispatched with Royal Mail 1st Class. Set number 2. 10 Killer Bung Blobs Size 10. Fly Fishing. 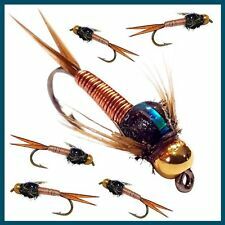 This sale is for a set of 10 Killer Bung Blobs tied with Flybox Eggstacy. Flo Red, Flo Chartreuse, Viva, UV White & Sunburst Crush. 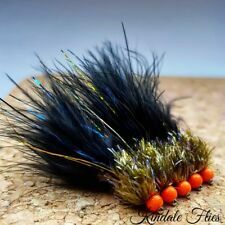 This is a perfect fly for the entire year. This is better fished static under a bung with a wee twitch occasionally. Set number 1. 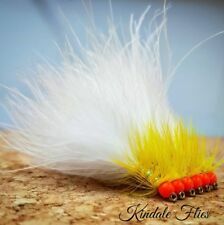 10 Killer Bung Blobs Size 10. Fly Fishing. This sale is for a set of 10 Killer Bung Blobs tied with Flybox Eggstacy. This is a perfect fly for the entire year. This is better fished static under a bung with a wee twitch occasionally. 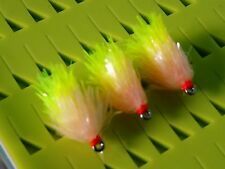 4 Squirmy Blobs flies Size 10 Barbed. Fly Fishing. 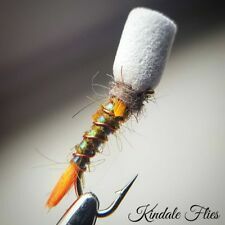 4 Squirmy Blobs flies Size 10 wide Gape Barbed. Fly Fishing.. Condition is New. Dispatched with Royal Mail 1st Class.